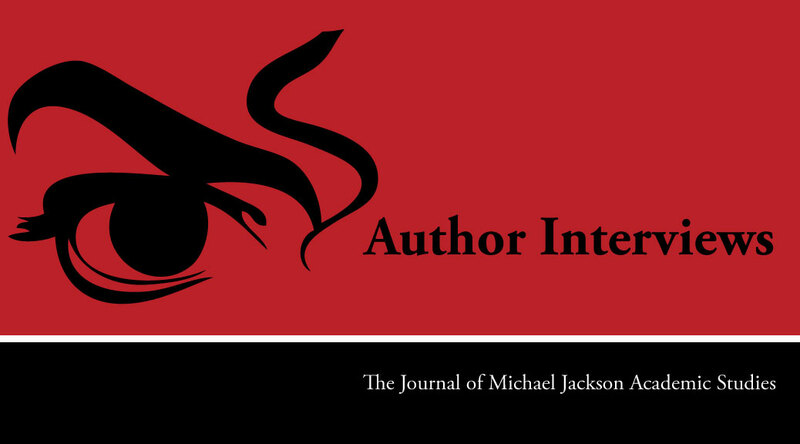 Abstract: This interview is part of our ongoing coverage of unique and dynamic authors who have written compelling monographs about Michael Jackson. In it, Joe Vogel, author of ‘Man in the Music: The Creative Life and Work of Michael Jackson, discusses his process and his research. Vogel, Joseph. 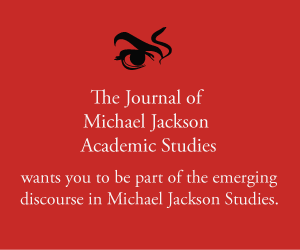 “An Interview with Joseph Vogel.” Interview, The Journal of Michael Jackson Academic Studies 2, no. 1 (2016). Published electronically 21/01/16. http://michaeljacksonstudies.org/interview-with-joseph-vogel/. To me, Michael Jackson embodies passion, energy, mystery, compassion, complexity, brilliance, creativity, wonder, tragedy, love. 2) When you started writing Man in the Music did you have any misgivings about the process? Sure. It was a big, ambitious project—it grew bigger than I expected and then had to be trimmed down. Publishers were skeptical about whether there was an audience for serious books on MJ (that skepticism persists, thought not as much as it did). There were all kinds of logistical hurdles. But perhaps the biggest challenge was just trying to do justice to a multifaceted artist like Michael. Studying him forces you to at least try to become better acquainted with a range of different fields, histories, and conversations. The end result wasn’t perfect, but I enjoyed the process. 3) If you had the chance to meet and talk to Michael Jackson what three questions would you ask him? 1. What unreleased song do you wish you could complete and release? 2. Can you walk me through the entire evolution of “Stranger in Moscow”? 3. If you had a fully-funded film to direct, what would it be? 4. What drew you to the study of literature in your own career? 4) What drew you to the study of literature in your own career? I love learning about people and cultures and experiences. I love that feeling of recognition when a writer captures something you have felt or thought but never articulated. I love language and what it can do to enrich a person’s mind and soul. Literature, to me, makes life richer and deeper and more interesting. 5) How and why did you decide to become a professor? Well, all the things I mentioned before: my passion for literature and art in general was the driving force. I really enjoy being in a classroom and discussing ideas, digging past the surface. I guess I enjoyed it so much as a student, I felt compelled to find some way to make it my profession. 6) What do you think the legacy of Michael Jackson’s art is? It’s many things to many people. To me, much of it is captured in a song like “Earth Song,” which I wrote about in a small book. His art wasn’t meant only to entertain (though that was part of it); he aimed broader and deeper than most artists. His artistic legacy to me has to do with how he tried to use his art to re-imagine the world. And how he fused and stretched and reinvented so many forms to that end. 7) Who are your biggest artistic, literary and musical inspirations? There are so many: Blake, Shelley, Whitman, Fitzgerald, Hughes, Ellison, Baldwin; John Lennon, Freddie Mercury, Stevie Wonder, Prince, Radiohead, Arcade Fire, and of course, Michael. 8) To you, what is the relationship between music and academia? I believe it was Elvis Costello that said writing about music is like dancing about architecture. There is some truth to that. Music, to me, can never be fully captured in language. That being said, the best scholars and critics of music I have read always make me want to return to the music and appreciate it more. That’s always my goal: to somehow illuminate the music and its cultural context. 9) Are you planning to write further on Michael Jackson or are there other artists/writers you have your eye on for future publications? Possibly. Right now I am working on a book on James Baldwin, focusing on his final decade, the 1980s. It’s a period that fascinates me, having grown up in the Reagan era, and James Baldwin’s work has never been more relevant, given recent events in the U.S. There are a couple more projects I’d eventually like to finish on Michael. I’d definitely like to do an updated and improved second edition of Man in the Music at some point. But right now, I am mostly focused on non-MJ work. 10) What advice do you have for those wishing to study Michael Jackson’s art? Well, first of all, enjoy the process of discovery. Be open to what his art can reveal, even if you’ve heard a song or seen a video hundreds of times. And become acquainted with the growing body of work on Jackson’s art. When I started Man in the Music I had very few sources to turn to, but today there is so much great work. Another piece of advice is to figure out a tone and approach and platform that allow you to reach and speak to more than just die-hard fans. I feel like work on MJ, generally speaking, needs to look outward more, and be in conversation with critics and scholars of music, film, culture, etc. Also, it would be valuable to find and fill gaps. In other words, tackling Michael from different perspectives: for example, a book on Jackson, the humanitarian, or Jackson, the dancer, or examining a particular album or video that has been overlooked. 11) Recently, we have seen some particularly serious racially motivated incidents across the United States and the world, what is your response to the view that racism is dead and that people of colour can aspire as far as they want to in ‘Free America’? Well, obviously that notion is belied by the facts. America is still profoundly trapped by its history and unwilling to honestly confront it. So we continue to see the same problems. The last year or two have been particularly tragic. The violence that surrounds blackness is almost just accepted as a way of life here. What happened in South Carolina recently is particularly horrific: there is really no other way to describe it than hate-driven domestic terrorism. That being said, millions of people are attempting to push back, as evidenced by the Black Lives Matter movement, and more specifically, Bree Newsome’s courageous removal of the confederate flag at South Carolina’s state capitol. I like to think that for all the tragedy, it has at least galvanized those who care about justice to take action and figure out new possibilities. Thank-you, Joe for taking the time to talk to us. Joe Vogel is the author of a range of books and articles on Michael Jackson, which include ‘Earth Song: Inside Michael Jackson’s Magnum Opus‘, ‘Featuring Michael Jackson: Collected Writings on the King of Pop‘, and ‘Man in the Music: The Creative Life and Work of Michael Jackson‘. Find out more about Joe here.